It's been one of those weeks where I truly wish I had more time. I had lots to share with you and simply not enough time to sit and write. 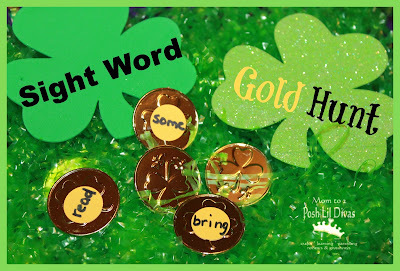 With St. Patrick's Day this weekend, I didn't want to miss the opportunity to share a quick and fun sight word game with you that I set up especially for my Kindergarten Diva - Sight Word Gold Hunt. 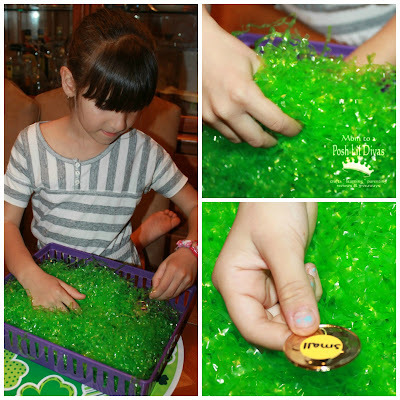 This little playful learning game was easy to set up. I used a bin we had on hand, 1 bag of fake Easter grass, gold coins (22), a black marker and some dot color coding labels. 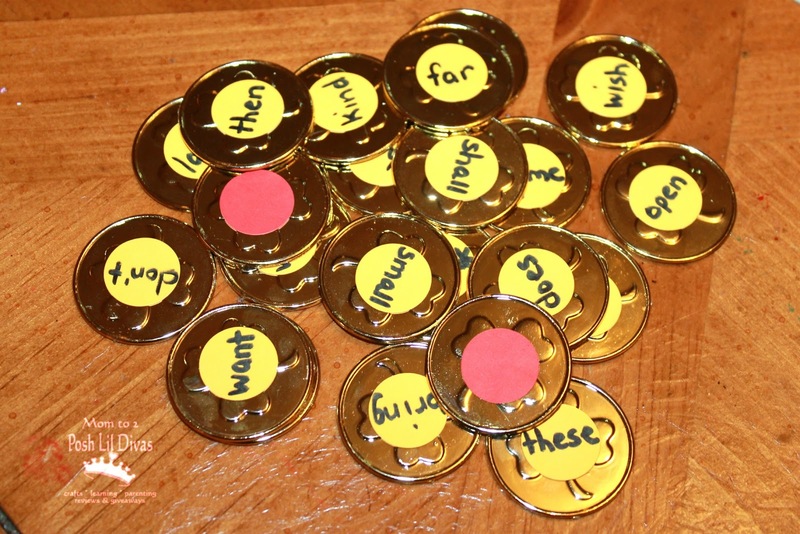 I wrote 20 target sight words on the dot labels and put a red dot on 2 gold coins. I hid the coins under the Easter grass and invited the Kindergarten Diva over to play. To play, she had to dig in and find a gold coin. In order to keep the coin, she had to read the word correctly. If she read the word incorrectly, it went back into the bin (this allowed for more review/repetition of the word). If a coin with a red dot was chosen that meant all the coins had to go back into the bin. The red dot coin was not returned to the bin (or the game would never end!). 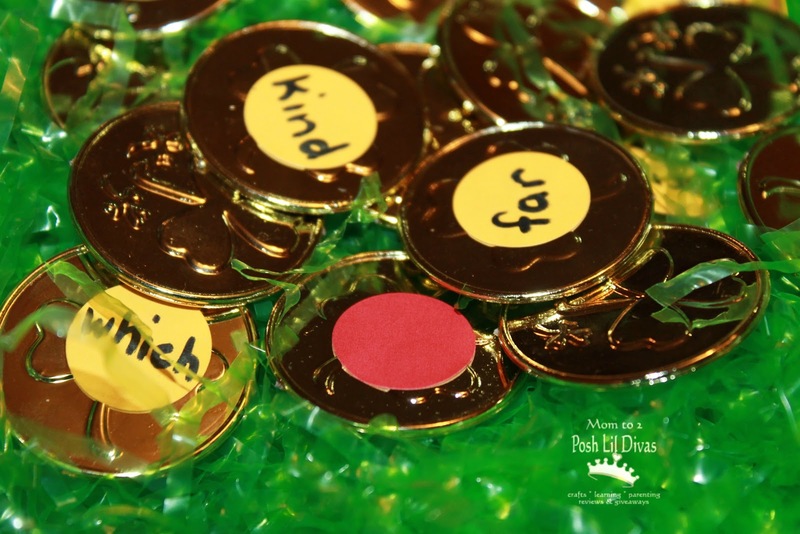 Continue playing until child has earned all the gold coins. This would be a fun small group center in a classroom or at home with more children. 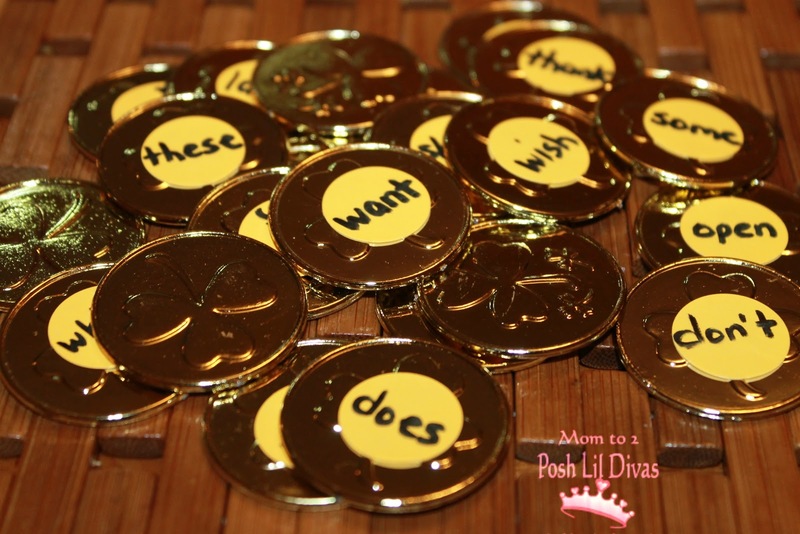 I am going to make a similar game with math facts for the First Grade Diva. She wanted to play but this was too easy for her as she has all her sight words mastered, so she got bored very quickly. Looking for more sight word play? Check out all our Sight Word Fun posts and our Sight Word Fun Pinterest Board. You'll be glad you did!